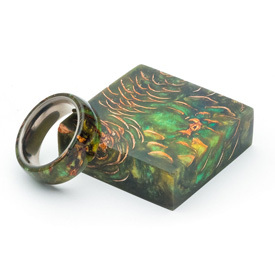 Pine cone Ring Blanks by Hobble Creek Craftsman are stunning to say the least! Real pinecones cast in premium resin produce stunning patterns that resemble aerial fireworks. Every blank is guaranteed to be free of air pockets and bubbles.